Whirled Traveler: A Sweet Ride! It was a weekend of sweet rides, meant literally and figuratively. Both were fairly short, for one reason or another, but scenic and interesting in their own ways. The first, on Saturday, began in West Seattle at Jack Block Park near Alki. 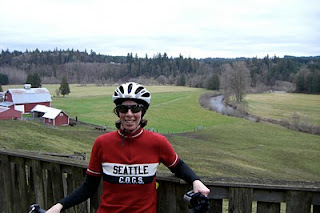 A flat ride to Alki with a little headwind, then uphill toward White Center. The reward: pie at 3.14 Bakery. That's "Pi" Bakery to those of us with a memory for math. Apple pie for me, plus a strong mocha. Strong and sweet, that's how I like it. From White Center, I headed north on 16th Avenue which was ok, but had a line of parked cars and a road seam not far from them, so it was a little dicey to choose where to ride. After I while, I turned on Myrtle St and went to 21st Ave, a real find. The avenue is on a ridge and is in a quiet neighborhood with off-street parking, speed bumps and low speeds. In fact, I didn't encounter any cars the whole time I was on it, but I did see a mother with her son on bicycles. That was my kind of road. Toward the northern terminus of 21st Ave, I turned left to Andover, then a quick right to 22nd Ave. The map indicated there was bike trail access but I wasn't so sure once I made the turn. Just as I started to dread the climb back up the way I'd come, I rolled up on a driveway and onto the trail that goes under Spokane Street and Marginal Way. I made my way to Harbor Avenue, just as the winds from the south picked up, blowing me back to the park. Now that's sweet! Here's the route. On Sunday, I joined a BIKES of Snohomish ride, starting in Machias, just north of the town of Snohomish. I've ridden with these guys before and they are great. They always look after me, even when I am ahead of them ;-), but on this ride, there were three of us who rode a little faster, drafting one another and pushing the pace. We were accused of having too much testosterone until I, ahem, pointed out it might just be the estrogen. 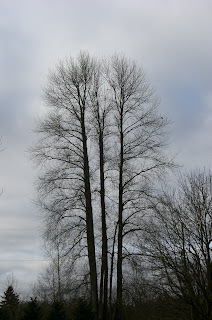 We enjoyed the smooth pavement of a new road in Granite Falls, I got my Columbian chocolate fix at the store there, then we were on to fun, quiet roads as we made our way back to Snohomish. 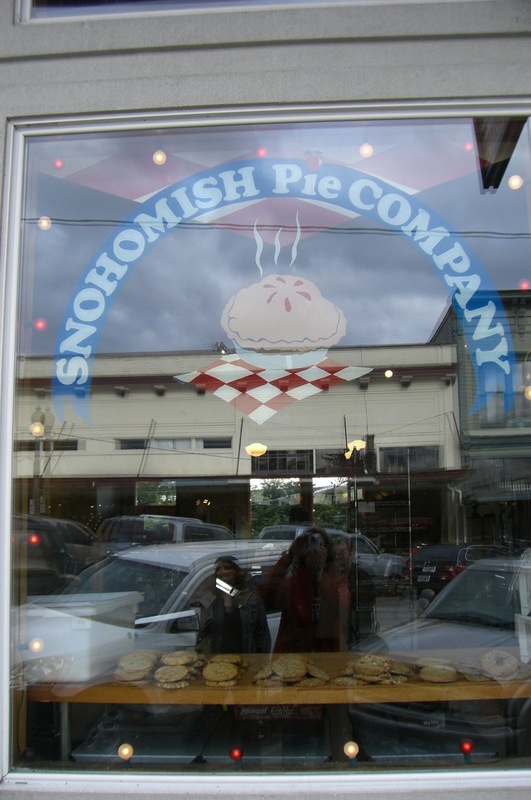 I start a lot of rides in Snohomish and that is because there are beautiful, quiet roads out there that roll and climb, but also because of the Snohomish Pie Company. 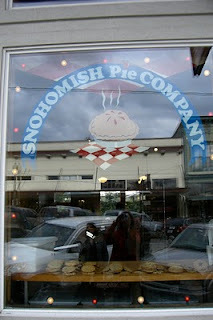 After a fast, sweet cruise back to the car that put a smile on my face that not even chocolate can evoke, we all met up at the Pie Company in downtown Snohomish for a little more sweetness.